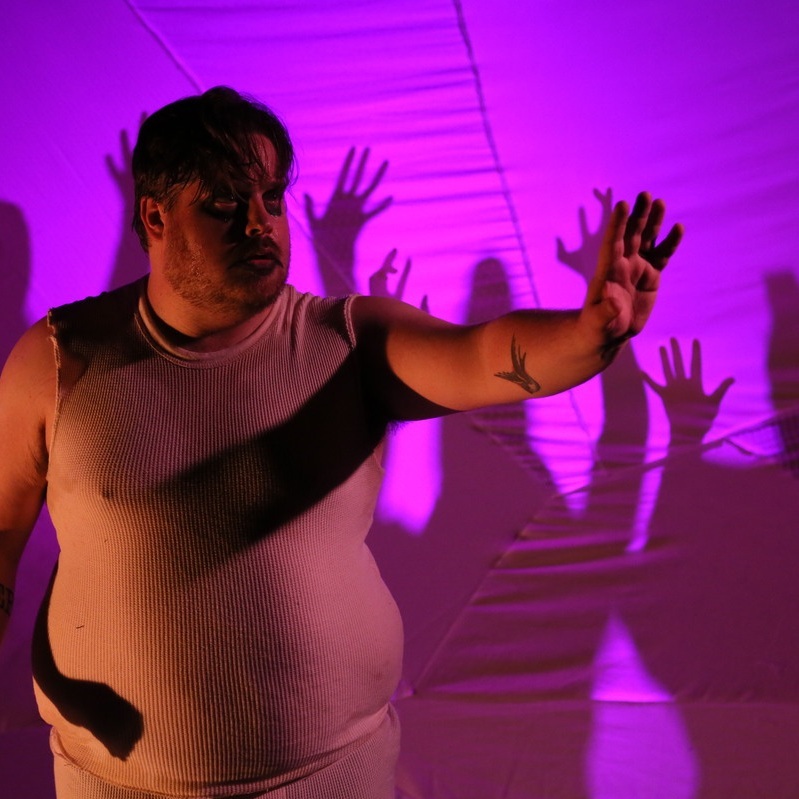 Eddie DeHais is a nonbinary director, choreographer, deviser, and designer, who uses physical theater and rigorous collaboration to investigate the best and worst of human nature both in new work and traditional scripts. 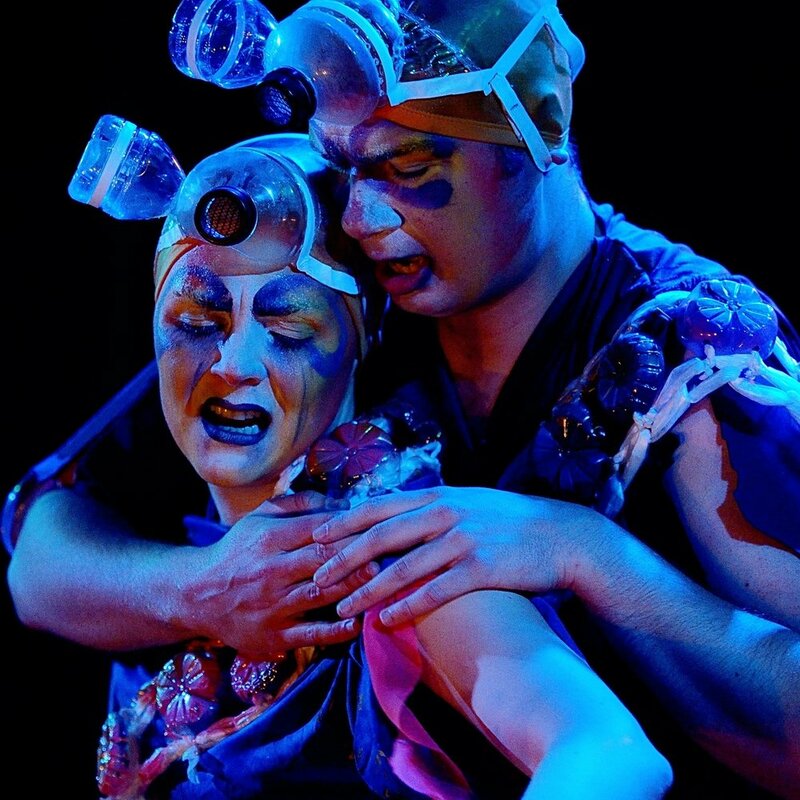 Their work strives to unify all elements of theater in a complete emotional and physical journey, to make epic, transformational experiences where artists and audiences alike can feel empowered and form human connections. Their conviction is that active and engaging storytelling provokes an indelible experience that changes lives. …or some video from ReShape, an installation Eddie produced in 2018! Eddie DeHais is a uniquely driven art making machine. They attack projects head on with passion and compassion. 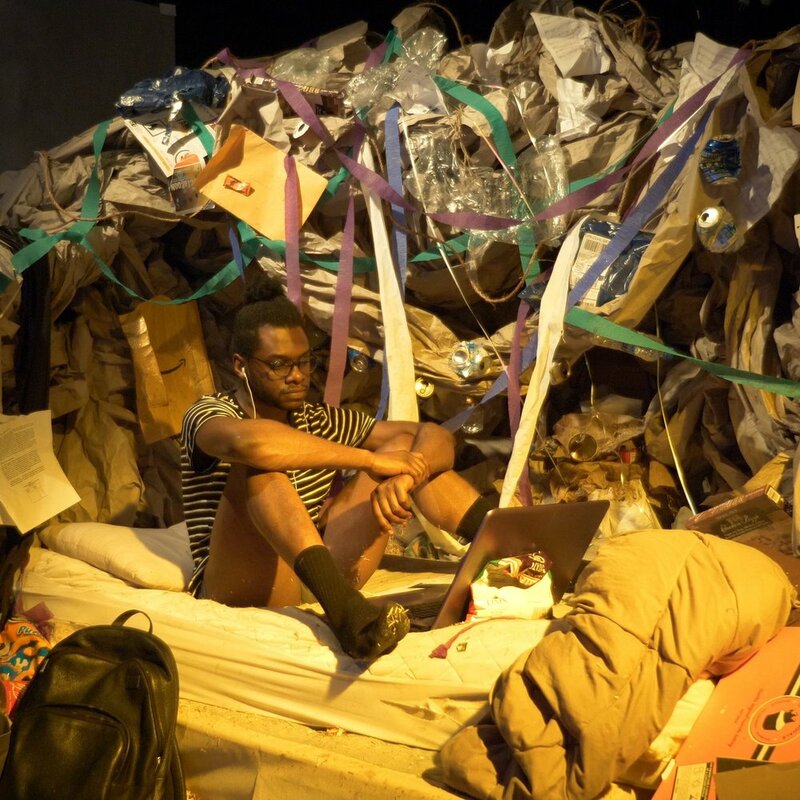 As far as physically minded theater makers go, Eddie is simply one of the best Seattle has to offer. Work with them. Work with them now. Production Still: BIG BAD. Marcus Gorman, Alyza DelPan-Monley, Jordan Moeller, and Jessica Stepka. Photo by Joe Iano.